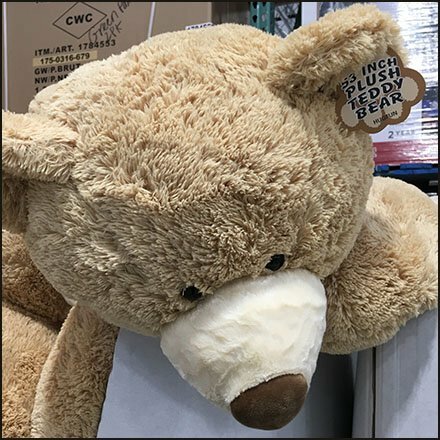 Giant Bulk Bins are popularized in this Plush Teddy Bear Pallet Merchandising and other occurrences. It would appear merchandising density is greater in bulk, than arranged orderly on a shelf or stand. The 53 inch Teddies trend toward the large, but are by no means the largest seen. Consider this execution in the Plush Teddy Bear Pallet Merchandising gallery of images, then follow Teddy Bear Merchandising farther below. Seen at Costco, Allentown, Pennsylvania.